He is not going to come cheaper than any other alternative. We will just have to pay a hefty sign-on fee and a higher wage to compensate for his release clause. Skriniar would cost a lot but it would be worth it. He would fit the profile of players we signed in the past. Young enough and ready to make a huge step like Ferdinand, Vidic, Evra type. Vidic and Evra were cheap signings but if we go by profile and age, think it's a good comparison. For CB I hope we go for sure player rather than taking punt on unknowns. We have done that a lot, we have few good enough type players but we need someone who can reach very top asap. @Johan07 I see absolutely no reason why Toby should demand a stupidly high sign-on fee, as 25 mill pounds for a 30 year old CB is a reasonable price. He is currently on 80k per week at Tottenham, and the rumors say that he wants 180k to renew, while Tottenham only want to offer him 130 k. Throw in 200k and a 5 mill sign-on fee, and we will get him for a total of 30 mill and the same salary as Lukaku. This is far from the 100 mill that is the reported price for players like Koulibaly. Maybe. Thats still 30m in transfer fee + sign on that we would have to write off over the time of his contract because of his age. Its actually more expensive than investing 100m in a De Ligt or Skriniar, whose value will not decrease in the same way. If at all. Look at Pogba who is worth more now then when we bought him. Its way to simplistic to compare players of different ages just according to their transfer fees. In many cases an investment in a young talented player might even turn out a profit. Koulibaly is overpriced at 100m IMO because of his age, even if he is two years younger than Toby and probably still will have value come the latter years of his contract. I personally still would like him at the club more than anyone else except maybe De Ligt. I still think 100m is a stretch from Napolis perspective and might be more of a boasting attitude that they dont need to sell. Most clubs, United included, will have advanced algorithms in place when calculating the total cost of a transfer. Transfer fee, agent fees, age, time of contract, prospected development, etc. Its also quite ridiculous reading about these transfer kittys that is supposed to be in place for every summer. No one except PSG when they bought Neymar pays a transfer fee up front, its done over a couple of years and its more accurate to describe this as a trade balance where the club will have incoming and outgoing transfer fees every year. Which may be a problem for clubs with bad cash-flow and/or capital. Its not a problem for United though. What is the problem right now for United is that we have racked up the PL´s largest wagebill as well as losing money on players like Sanchez and Matic in pure asset value depreciation. I really dont want us to buy Toby or players of a similar age because of this. It will hurt us in the long run even more. I am only sure that we are getting rid of Rojo in the Summer. Maybe the the plug will be pulled on Bailly after the season he's had? I always thought Jones would be let go but he somehow did enough to get himself a new four-year deal (absolutely bonkers) so I will be amazed if he goes before Summer 2020. If rumours are to be true, Alderweireld is looking likely, but that was the kind of signing I would've liked us to have done in the Summer just gone to get a bit more value. I see him as an additional signing rather than the CB signing, which would mean selling Bailly as well as Rojo IMO. I think I would be happy to take Alderweireld and Koulibaly, with Lindelof, Smalling, and Jones staying put. But I think the more likely scenario is we spend big on one guy and keep Bailly. Take everyone off the list who isn't British - if we want a consistent squad to develop and stay together then the core of our team has to be British. If no British players available then next look at Scandinavians/Northern Europeans. Players from Brazil, Southern Europe etc. are a lot more likely to leave if they are successful and so we should build a solid defence, midfield with predominantly British or home grown players and then have the odd game changing genius from anywhere in the world as a luxury. To me this is the only option as we are not going to attract and keep the crème de la crème until we are challenging for the league and champions league consistently and even then I would not rely too much on these type of players if we want to avoid major squad overhauls all the time. @Johan07 I totally agree about almost everything you say, and of course it is too simplified to compare players using age and cash transfer fee as the only parameters. However, it would be far too advanced for normal people to go into the economical details of each deal. In addition, even if you pay a transfer fee as one up-front fee (which you have to if you activate release clauses), the transfer fee will be spread over the contract period in the club budgets. I agree that De Ligt would be the perfect option, but I just can't see us landing him ahead of Barcelona. Paying 100 or even 150 mill for such a big talent that is already established as a solid player isn't expensive in the long run, as you point out. Out of all the players in the world that is realistic to bring here, Koulibaly is the player that would strengthen our team the most. We need a quick fix at CB, and I would love to see us splash 100 mill on him just because he is so good and is a perfect partner to Lindelöf in terms of mentality and playing style. If we choose not to sign one of the two, I would like us to bring in Alderweireld, as it would give us one of the absolute best CBs in the league for a few years forward. We have talent in Tuanzebe, Lindelöf and Bailly, while our more experienced players like Jones and Rojo just aren't good enough. We cannot afford to continue gambling on half-decent solutions at the back if we want to get back to the top of the league, and I think the long-term effect of a quick fix at CB right now will be paid back directly by the increased PL and CL position it is likely to bring. Skriniar is another possibility, but I am not sold on him as an ideal partner to Lindelöf, and he is likely to cost about the same as Koulibaly. 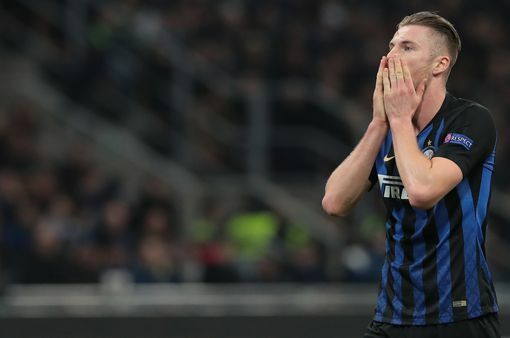 However, Inter already have De Vrij and are likely to sign Godin, so they might let Skriniar go if we pay up. I would be happy to see him here, but I think Alderweireld is a safer option. De Ligt is the sort of talent that only comes every 5-10 years, while I am completely sold at the extreme physicality of Koulibaly. Anyone got an opinion on Benoit Badiashile? Left footed, good on the ball... Not seen enough of him to evaluate the rest of his game. With Todibo already signed for Barca, and de Ligt likely to follow, Badiashile might be the next best prospect. We gotta make a move this summer for a top CB. Any of De Ligt, Skriniar, Koulibali, Umtiti or Varane will do. If Toby is available for 25M, I'd grab him in addition to one of the younger, more expensive from this list. B- With DDG probably leaving and so many positions that need to be strengthening I fear that buying Koulibaly or Skriniar on ridiculous fees will lead to yet another Pogba situation ie the expectations on such player to basically sort everything by himself will probably be unrealistically high. I fear Skriniar or Koulibaly would end being blamed of everything from Matic being a beanpole who can't run to Jones being useless apart from giving his famous facial expressions right to Smalling horrific distribution to the ball and the fact that Jesse Lingard can't dribble past a player. We can't and we shouldn't have that situation anymore. Thus I reiterate what I've said already. Lets raise the quality of the squad first and ONLY Then we can pinpoint key positions and add expensive top top quality if needed. A meah side can win the EPL title (SAF's last team, Ranieri's Leicester etc) but there's absolutely no way that 1 player can win the league by himself unless of course he's Diego Armando Maradona. Yeah, that's also true. We need to strengthen so many positions that it might not be best idea to commit massive funds for single position. If we have to sign a British CB then I'm all for Harry Maguire. He's aggressive and great in the air, comfortable playing the ball out, premier league proven, and would be our best CB if he was signed today. Alderweireld for 25M is a no brainer (could be paid for by selling Jones and Rojo) and I believe Maguire would be cheaper than Koulibaly, Skriniar, Varane etc. So CBs next season could be Alderweireld, Maguire, Lindelof, Smalling which looks like a solid step up from where we are at the moment. What do people think of Kristoffer Ajer at Celtic, young but looks very good. I'd rather see Tuanzebe get a shot before spending big on Maguire. I don't think he's better than what we've got. Alderweireld makes a lot of sense. He'd be by far our best defender, has a lot of experience and would come fairly cheap. What we flog Darmian and Rojo or Bailly for basically recoups that fee and leaves us with 200m for the rest of the team this summer. Alderweild's positioning was really, really good yesterday, but he had 3-4 weirdly limp clearances that could have led to City chances. Toby for 25M is really a no brainer. 25M for 4 years of service is a great deal. Then spend the rest of your transfer budget on a good CM, RB and RW. I'm not a huge fan of signing aging players but in this case we have other priorities and alderweireld would greatly improve our distribution from the back at a reasonable price. The attack needs a creative player and we need a quality midfielder. We also need probably 2 full backs. That's all going to cost money. Fairly sure Koulibaly was in the Seria A team of the year in the 2015/16 season (last 3 years running for that matter), so I wouldn't be so sure. Surprised some saying we dont need a centre back? Also surprised most seem to be looking for a partner for Lindelof, I know he has improved and put in some good performances.....but do people really see him as a first choice centre back for us? Personally I really think we need a completely new centr back pairing and two signings there as well as a right back. We have been losing a lot recently, and also it seems playing more defensively as though Ole doesnt trust the defence enough to unleash attacking football at the moment. I agree, i don't see it with Lindeolf. Alderweirld and Skriniar would be a good pairing. De Ligt and Alderwereld will do. Actually, it'd be £63m for 4 years of service, because he wants the £180k per week in wages (£38m in total over 4 years) that Spurs have refused to offer. But if United want to carry on being a retirement home for ageing players looking for one last big pay-day, then good luck to them. The ultimate long term buy is de Ligt, if you want the CB that immediately cvompliments Lindelof and is as ready made a it gets, it's Koulibaly. Alderweireld will just replace Lindelof, not Smalling, they are basically the same player with the same strengths and weaknesses. Alderweireld and Godfrey, while loaning him back to Norwich to gain PL experience. Although I’d try to tempt Ajax and De Ligt by putting Lindelöf in the deal. It's got to be Koulibaly. He's commanding and powerful but good on the ball and comfortable coming out of defense. He's been a big part of a fairly impressive Napoli side and is a bit younger than Alderweireld. Pay the money, as painful as it is to say he could be a Van Dijk-esq purchase.. I actually fancy Tuanzebe to partner a experienced big name CB signing. Why would Lindelöf want to go to Ajax? He is our best defender. Just silly. Althought I’d try to tempt Barcelona and Messi by putting Lingard in the deal. I don't think we need one much at all. Think central defense is our strongest area right now. Right back, right winger, central midfielder, striker, goalkeeper, left back, left winger would be things I would buy before we buy a central defender. If we get a good one for cheap then it is good, but it will probably stop us from improving areas that we need to improve. If Herrera leaves we got very little depth in midfield. Also our attack is weak and lack numbers since Sanchez is doing nothing really and Mata is not good enough anymore I think. One winger and one central midfielder in is a must. Right back should be main priority though since I don't see Young getting much better even if I hope Dalot can do well. We pretty much only got Shaw and Dalot as decent fullback options though. 2 fullbacks in is needed and one could be a better cheaper as a backup option. Also if we wanted to boost our squad we could need a better striker than Lukaku. Although I would probably be fine with sticking with Lukaku if he can find form again. I don't think Rashford is good enough to play most games. We got 4 decent/good central defenders who are all in decent age and should improve. Jones fitness is a problem, but it is not as bad as it used to be at least. Bailly has also dropped off after many injuries, but there is talent in him and he is good enough as our 4th option. Give us a hidden gem for cheap and it would be great. Steal Van Dijk or Laporte from City or Pool and I would be all over it, but if we go for Maguire, Matip, or someone old and on decline for big money then we are stupid. Who are you looking at to replace Alderweireld should he leave? Obviously looking to us to fund their summer spending. Hopefully we are still of the same view that it is too much money. Not that I don't think he is good, but loath the idea of giving them anything. Inter Milan are reportedly open to the idea of selling Milan Skriniar this summer. It is claimed by Calciomercato that Inter believe letting Skriniar go for a €100million fee could free up funds for further additions to the squad. The report says Barcelona, United and City are all keen on Skriniar, who was targeted by United last summer only for the club to deem Inter’s £75million valuation of him too high. Our CB target will depend on how important we feel the need is to upgrade in this position. That is the stupid move that will make us stand still unless we spend like 300- 400M without selling. Go for a young one like Dalot or go for the very best. Paying a lot for average or old players doesn't work unless we start to spend much more than anyone else and we are already paying a lot both in wages and in transfer fees. Alderweireld seems the simplest option. 25m. No long drawn saga. Experienced head. He also seems to be back to his best. We'll probably face competition from Juventus. I don't know. Perhaps we'd bring back Cameron Carter-Vickers from his loan spell at Swansea, where he appears to have impressed, and use him and Foyth as cover for Vertonghen and Sanchez ... who knows. It might well depend on what size transfer budget Poch is given this summer and how much we need to strengthen in other areas of the pitch - CM certainly needs an addition and it's not yet clear what will be happening with Eriksen. Real apparentley have him on their list. Toby and Minalos (Both ball playing) for 65mil is the best deal we could get for CD's and achievable too......Running after Varane, Deligt is a big waste of time as I dont think they come to us in the end.